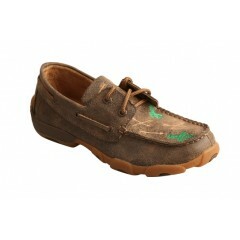 These adorable Blazin Roxx Kimberly casual shoe offer all day comfort for your little cowgirl. Perfe.. 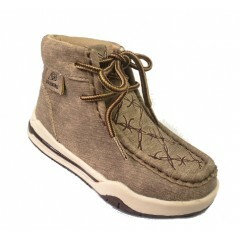 These adorable Blazin Roxx Lauren casual shoe offers all day comfort for your little cowgirl. The La.. 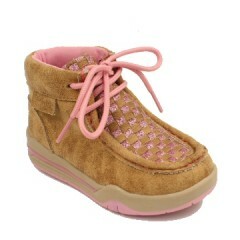 Check out these cute kids weave casual shoe! Mom will like they have a non marking TPR outsole! 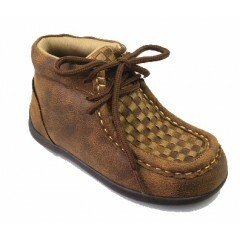 ..
Our adorable Double Barrel Jackson casual shoe gives your little cowpoke all day comfort and durabil.. 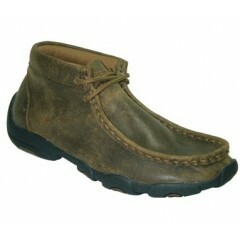 These Twisted X cactus and arrow driving mocs are stylish and comfortable. These are great for o..
For long drives, driving to horse shows, stock shows, going to Grandmas house or just kickin' ar..
For long drives, driving to horse shows, stock shows, going to Grandmas house or just kick.. 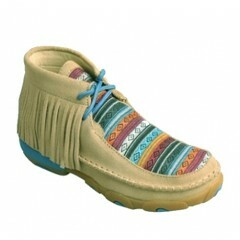 These cute serape fringe Twisted X shoes are both stylin' and comfort for your lil' ones! ..